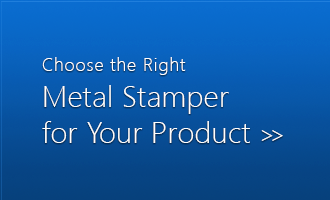 Read our Frequently Asked Questions to learn more about HPL Stampings & our custom short run metal stamping capabilities. If you cannot find the answer to your question here, please contact us at 800.927.0397. We can handle all metals and some plastics in thicknesses ranging from 0.001″ through 0.375″, depending on the material type. Absolutely. We gladly accept customer supplied material. HPL can receive sheet stock up to 60″ x 144″, coils up to 500 lbs., and sheared strips. HPL’s blank size capacity is 36″ x 36″. However, we often perform secondary stamping operations on larger customer furnished parts. Yes. Because our unique short-run process uses a separate engineering fixture and set-up for each operation, changes can be made with relative ease at minimal cost and little schedule disruption. Can you plate, heat treat or paint my parts? You bet! And not only that, we offer in-house assembly operations that include spot welding, pem nuts, stand-offs, clips, springs, custom labeling and packaging and much more. Combine all that with our high-quality local vendor network and operations like heat treating, plating and silk screening can be done in days—not weeks or months. Yes. We’re here to meet your needs. Yes. We ask that all parts be shipped within 30 days of completion. Yes, we now have SolidWorks 3D CAD design software. Feel free to send us virtually any type of eDrawing files. As a matter of standard operation, HPL works to +/- .005″. If tighter tolerances are required, we are able to hold +/- .001″ when needed. Indefinitely! HPL maintains all tools and engineering fixtures forever. If a tool wears out, gets dull or breaks, we fix or replace it at absolutely no cost to the customer.